The Ebricks.com Reproduction Lighting guide offers information about companies such as Signature Hardware and Hudson Valley Lighting, Inc.. Designer and manufacturer of home lighting in traditional, vintage, reproduction and contemporary styles. Leading manufacturer and direct-seller of period-inspired lighting and interior hardware in styles ranging from "early eclectic" to Arts & Crafts. This sister company of Delta sells online traditional and contemporary bathroom fixtures and hardware, lighting and shelves. Products are in coordinating design groups. Boulder, Colorado company began designing shoji screens and has since branched into interior and exterior doors, lamps, mirrors and other decorative items. Lighting, bath and tile manufacturer and retailer for high end residences. Classic schoolhouse pendants modeled after lights found throughout the country through the 1950s were the first product of this Oregon company. Other period lighting reproductions, light switches, shades and other electrical products are sold online. 330 SE MLK Jr. Blvd. Online retailer sells a full line of hardware and materials for furniture restoration and for period homes. Now in its fourth generation of family ownership, this high-end manufacturer offers chandeliers, sconces, mini-pendants and halogen bath lights, plus outdoor lighting. Site shows off its product lines, and has a dealer locator. Since 1992, this company has combined top-drawer contemporary design with hand-made quality - and today offers a distinctive line of ceiling fans, wall fans and lighting. Founded in 1993 by lighting designer Artie Louie, this site offers custom lightin fixtures as well as a full selection of brand name lights, ceiling fans and lighting controls. Selections include table and floor lamps, track lighting, sconces and more. Manufacturing and direct online sales of quality reproduction eighteenth and nineteenth century lanterns, chandeliers and sconces. All lighting is built by hand in rural Vermont workshop using brass, copper, terne metal and American hardwoods. Liz's Antique Hardware carries a large selection of antique and reproduction hardware in a variety of styles. Handmade chandeliers from wood and iron; wrought iron exterior lanterns; hand painted accent lamps. 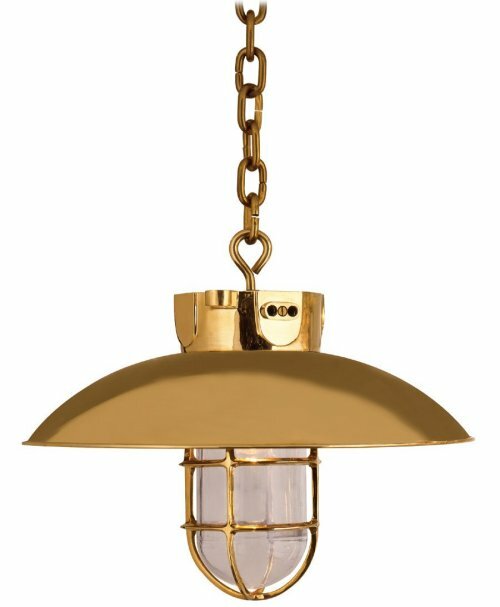 J.R. Coppersmythe offers hand-crafted Colonial and Arts-and-Crafts lighting for inside the house and outside too. Its lights are crafted from copper, brass, tin and other traditional materials. Reproduction furnishings in historic Colonial styles from this retailer located in historic towns in Massachusetts and Ohio. Antique & reproduction Victorian light fixtures. Reproductions are hand-made made in solid brass with added touches of Antique Brasses, Nickel, Chrome, Bronze, Pewter and Copper. 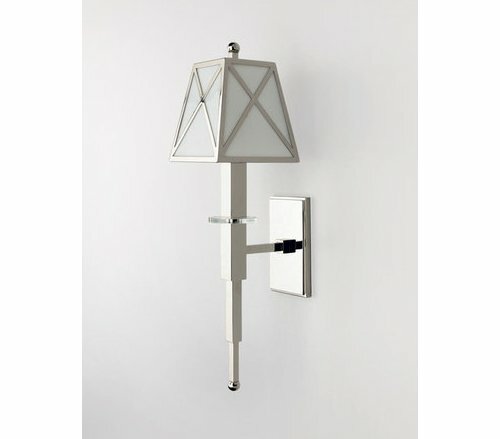 A retro style wall sconce for bath or hall. A shiny brass lantern to welcome guests to house or cottage.